We’re Gradient Data Solutions and we specialize in serving healthcare organizations, financial service firms, non-profit organizations and industrial manufacturing firms throughout Miami with reliable IT support. With years of experience in a wide range of verticals, one thing remains the same - we put our client’s needs first and take the time to learn about their business in order to provide technology solutions that will drive real results. We address your computer problem immediately or get back to you within 30 minutes or less – guaranteed. We’re very proud to hold a 99% customer retention rate for the last 5 years and counting. Our technicians will be on-site within one hour, should you have any critical problems. We will never close a support ticket until your problem is resolved. 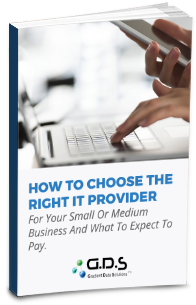 Say goodbye to expensive and unpredictable IT bills with our all-inclusive pricing model. Controller, Ready Window Sales & Services, Inc. Owner, SFG Financial Services, Inc.
Where can you get your hands on awesome, actionable small business tips for executives – for free?